Jayalalithaa Case - Same day Conviction and Sentence- Bangalore Court or Times of India? Who went wrong?! The Times of India published on 1st October 2014 carried a report which says that the Bangalore trial court appears to have violated the Supreme Court's mandate by convicting and sentencing former Tamil Nadu Chief Minister J Jayalalithaa on the same day, September 27, in a disproportionate assets case. It relied on a Two Judge Bench Judgment in Allauddin Milan vs State of Bihar [1989 SCC (3) 5] wherein it has been held that “all trial courts, after pronouncing an accused guilty, must adjourn the hearing on quantum of sentence to another day to enable both the convict and the prosecution to present material in support of the quantum of sentence”. It is true that Justice Ahmadi while interpreting S.235(2) of Code of Criminal Procedure 1973, held that “as a general rule, the trial courts should after recording the conviction adjourn the matter to a future date and call upon both the prosecution as well as the defence to place the relevant material bearing on the question of sentence before it and thereafter pronounce the sentence to be imposed on the offender." (1) After hearing arguments and points of law (if any), the Judge shall give a judgment in the case. (2) If the accused is convicted, the Judge shall, unless he proceeds in accordance with the provisions of section 360 hear the accused on the question of sentence, and then pass sentence on him according to law. "This provision is clear and explicit and does not admit of any doubt. It requires that in every trial before a Court of Sessions, there must first be a decision as to the guilt of the accused. The Court must, in the first instance, deliver a judgment convicting or acquitting the accused. If the accused is acquitted, no further question arises. But if he is convicted, then the Court has to "hear the accused on the question of sentence, and then pass sentence on him according to law". When a judgment is rendered convicting the accused, he is, at that stage, to be given an opportunity to be heard in regard to the sentence and it is only after hearing him that the Court can proceed to pass the sentence." In Allauddin Mian the Trial Court recorded the finding of guilt on March 31, 1987 and the accused were asked if they had anything to say on the question of sentence and immediately thereafter the order of death sentence was pronounced. The Supreme Court held that the accused were not given sufficient opportunity to be heard on the question of sentence and, therefore, there was non-compliance of S.235(2), Cr. P.C. Allauddin Mian – A wrong Precedent. But in Allauddin Mian, the Supreme Court failed to consider this newly added proviso, which is in direct conflict with the dictum laid down in the Case. In my opinion there is no statutory support to the proposition laid down in Allauddin Mian; instead there is a statutory prohibition in adjourning the matter for hearing on question of sentence. Moreover, both in Santha Singh and in Allauddin Mian the Court was dealing with the imposition of Death Penalty without the accused being properly heard regarding question of sentence. S.354(3) of Cr.P.C makes it obligatory in cases of conviction for an offence punishable with death or with imprisonment for life or for a term of years to assign reasons in support of the sentence awarded to the convict and further ordains that in case the Judge awards the death penalty, "special reasons" for such sentence shall be stated in the judgment. Undoubtedly under S.235(2) of Code of Criminal Procedure, the accused is entitled to an opportunity to adduce evidence and if need be the case is to be adjourned to another date. There is illegality to convict and to impose sentence on the same day. It is true as contended for the State that under S. 309, third proviso brought by Amendment Act, 1978 that no adjournment should be granted for the purpose only of enabling the accused person to show cause against sentence to be imposed upon him. Under S. 235(2) when the accused has been given right to be heard on the question of sentence it is a valuable right. To make that right meaningful the procedure adopted would be suitably moulded and given an opportunity to adduce evidence on the nature of the sentence. The hearing may be on the same day if the parties are ready or to a next date but once the court after giving opportunity propose to impose appropriate sentence again there is no need to adjourn the case any further thereon. But the Times of India report had not mentioned about the above developments in the report. Did Bangalore court violate S.235(2) Cr.P.C ? Keeping the above principles in mind let us examine whether the Bangalore Court violated the mandate of S. 235(2) Cr.P.C. In Page 1136 of the Judgment (including Appendix) 36th Additional City Civil and Sessions Judge (Special Court for trial of Criminal Cases against Kum.Jayalalithaa and Ors) John Michael Cunha had dealt with the question of Sentence in pages 897 to 910. “Learned counsel for A-1 Sri. B.Kumar submitted that, A-1 was Chief-Minister from 1991-1996. She was elected by the people again in 2001 and again in 2011. She had held that post after end end of the first 9 long years. During those nine long years, even her virulent opponents were not able to even allege one single instance of misuse of power. This aspect has to be taken into consideration. In 1996, 12 cases were launched against her by her political opponents, of which, in 10 cases she was acquitted and one case was quashed. In respect of one case relating to purchase of property by TANSI, High Court acquitted her and Hon’ble Supreme Court affirmed the acquittal”. From the above extracts it is clear that the Judge had heard the accused and her counsel on question of sentence. It is also clear that neither the accused nor the Counsel had asked for more time to adduce evidence or for further hearing on question of sentence. The mitigating factors pleaded for a lenient sentence were delay, political vendetta, incalculable mental agony, anguish and trauma. The above factors except ‘delay’ are compassionate grounds and would always be present in most cases and are not relevant for interference as stated by Supreme Court in Sevaka Perumal Case (SC). In many cases our Supreme Court has cautioned the trial Courts against lenient sentence in corruption Cases. In State of Jammu and Kashmir Vs. Vinay Nanda [AIR 2001 SC 611] it is held that “corruption at any level, by any person, of any magnitude is condemnable which cannot be ignored by the judicial Courts, when proved. No leniency is required to be shown in proved cases under the Prevention of Corruption Act which itself treats the offences under it of a special nature to be treated differently than the general penal offences. The convicts of the offences under the Act are to be dealt with heavy hand and deterrent rod. No populous or sympathetic approach is needed in such cases”. According to the Special Judge “In the instant case, what aggravates the offence is that, A-1 is occupying a high position in the Government of State of Tamil Nadu. It is often observed “just as those at high places behave, so others below”. If persons holding higher positions indulge in corruption, not only those below get encouraged to indulge in corruption, but also the person holding higher position will not be in a position to exact honesty from them or to take action against delinquent officials. “The accused have sought for leniency merely on the ground that the case is foisted at the instance of the political rivals of A-1 and 18 years have elapsed from the date of the initiation of the proceedings and during this period, accused have undergone great tension, mental agony and trauma which cannot be compensated in their lifetime. Further, it is submitted that, subsequent to the registration of the case, A-1 is occupying the post of Chief Minister for 11 years from 2001 to 2006 and from 2011 till date without any blemish, which is a strong circumstance to hold lenient view. Further, the accused have sought for leniency on health grounds. In my view, none of these submissions permit the Court to take a lenient view in the case. No doubt, the case has been pending for nearly 18 years. It may not be necessary at this stage to find out as to who is responsible for the said delay, but the fact remains that the case was transferred to this court on account of the allegations faced by the accused attempting to subvert the course of justice. No doubt, there has been a stay for five years, but even thereafter, the accused have taken advantage of the procedural trammels of our legal system in keeping the penal consequences at bay for a considerable time. It also needs to be noted that, these accused have not appeared before the Court regularly except at the time of framing charge and recording their statement u/Sec. 313 Cr.P.C. Therefore, their submissions that, on account of pendency they have been subjected to hardship and trauma cannot be accepted. The mere fact, the case against them is pending before this Court itself may be dissuading them from getting involved in any such cases. Therefore, all these factors may not be significant in deciding the quantum of punishment”. Though the Special Judge rejected all the mitigating factors, he only awarded 4 years Imprisonment though the maximum punishment for an offence punishable U/S 13(2) of Prevention of Corruption Act is 7 years. 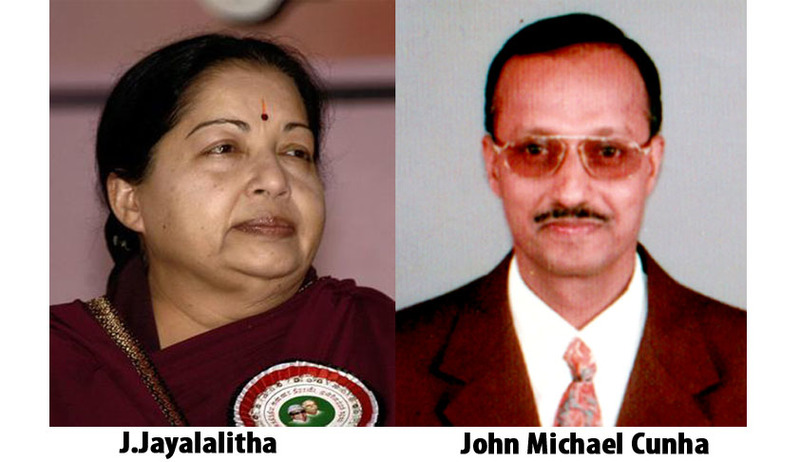 It is beyond any doubt that the 36th Additional City Civil and Sessions Judge (Special Court for trial of Criminal Cases against Kum.Jayalalithaa and Ors) John Michael Cunha adhered to the principles of law and has not violated any judgment of our Supreme Court. The Times of India is caught on a wrong foot.